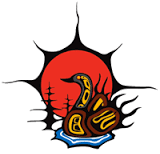 News, events and updates from Webequie First Nation located 540km northeast of Thunder Bay. It is a community news initiative as part of Journalists for Human Rights Indigenous Reporters Program, with the goal of creating a sustainable local news source in the community. Webequie First Nation is an Ojicree community located on the northern point of Eastwood Island, 540km northeast of Thunder Bay.